Street food holds a special place in the whole travel experience but is often a gamble for the faint stomached. To my surprise, most of the street food vendors I came across in South America had pretty clean set up and there was rarely anything alarming. In fact, some of the best street foods came from not a cart, but by intercepting lunch that was being delivered booth to booth to shop owners. Meat pie $1.5 USD, empanada $0.75 USD, and sugar cookies at $0.50. The best part is, they were all delicious. Didn’t hit any street food fail in Colombia. They also look pretty clean for the most part. 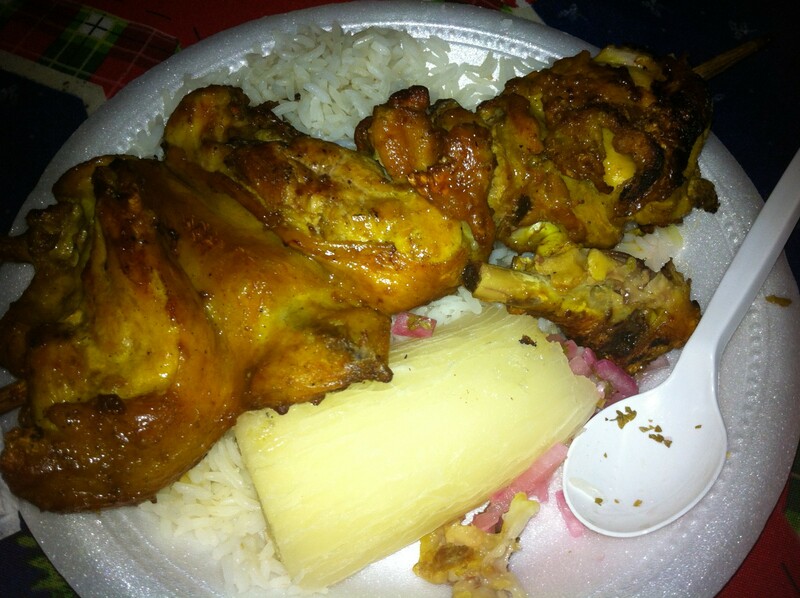 $4 for a protein filled meal of chicken, yuca and rice, right off the grill of an “open” kitchen. $1 for the best corn potato filled with mayo chicken, it’s like a savory cake. The lady with the visor was selling these store to store in a hand basket and I hovered right over her for a piece. Still drool when I think about it. Don’t know how much the bread costs but it doubles well as a pillow. And when you’re hungry just turn your head. 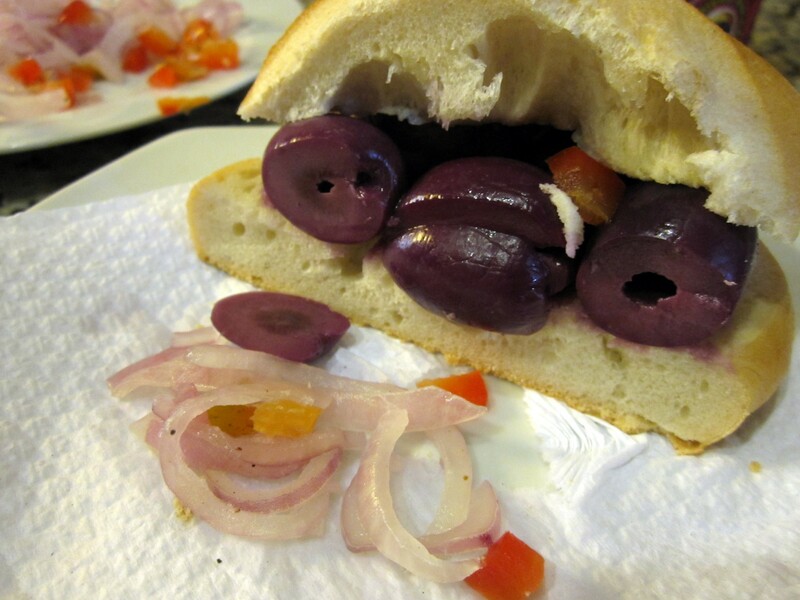 $1 USD for a snack size marinated olive sandwich with vinegar onions. For the record, it’s much yummier than it looks. $2 USD Sausage (at least I think it is…) on buns out by the soccer stadium, topped with tomatoes, onions and mayo/ketchup/mustard sauce. My favorite small town in South America thus far. $0.50 USD for the “sopapilla,” aka fried puff pastry. $0.35 USD for the best tamale from the morning market. $1USD for Api Morado, a warm purple corn drink. $0.25 USD for freshly made flan. And last but not least, $3.5 USD for the grilled chicken with noodle and fries. 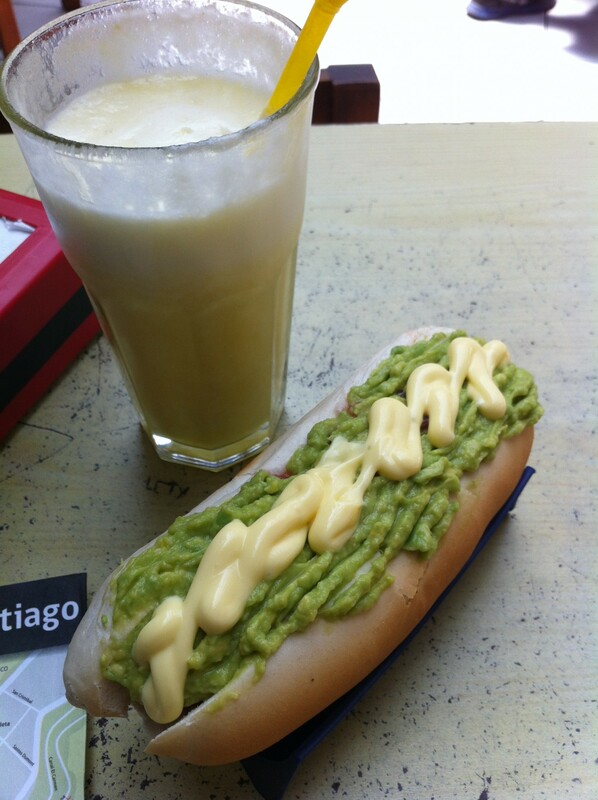 Avocado on hot dog with fresh fruit smoothie, $5 USD. 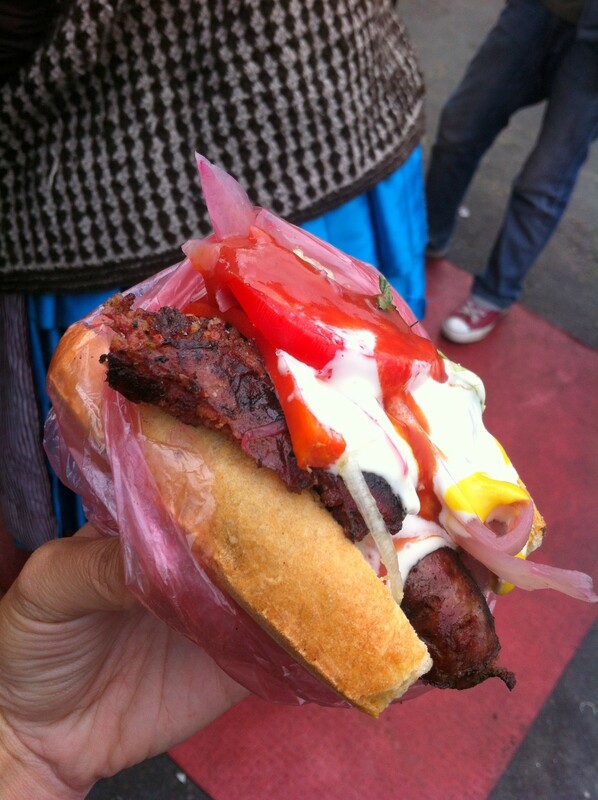 Who said hot dogs are bad for you…not in Chile! Okay maybe the mayo was not needed, I’d like to think the fruit smoothie evened it out. 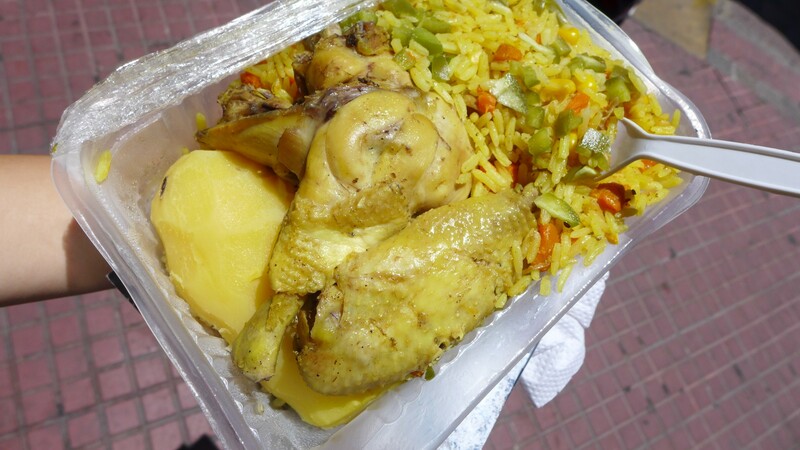 $4 USD for a wholesome meal out of a styrofoam cooler. 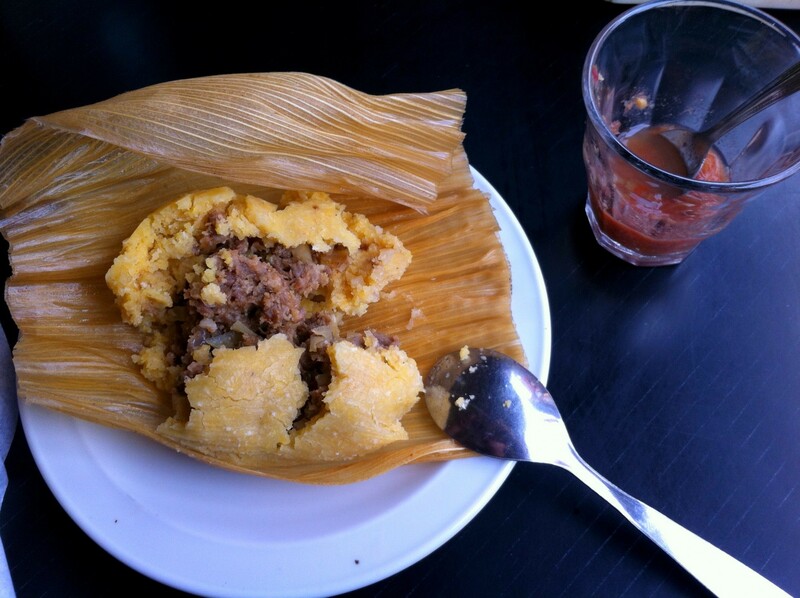 Tamale for $1.5 USD. After Bolivia this seems a bit steep for a quick snack. 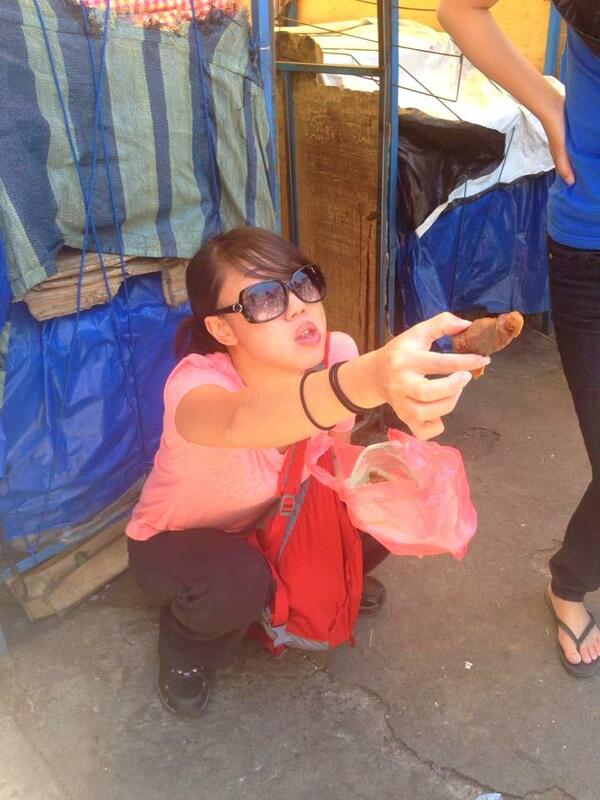 Totally ready for South East Asia!